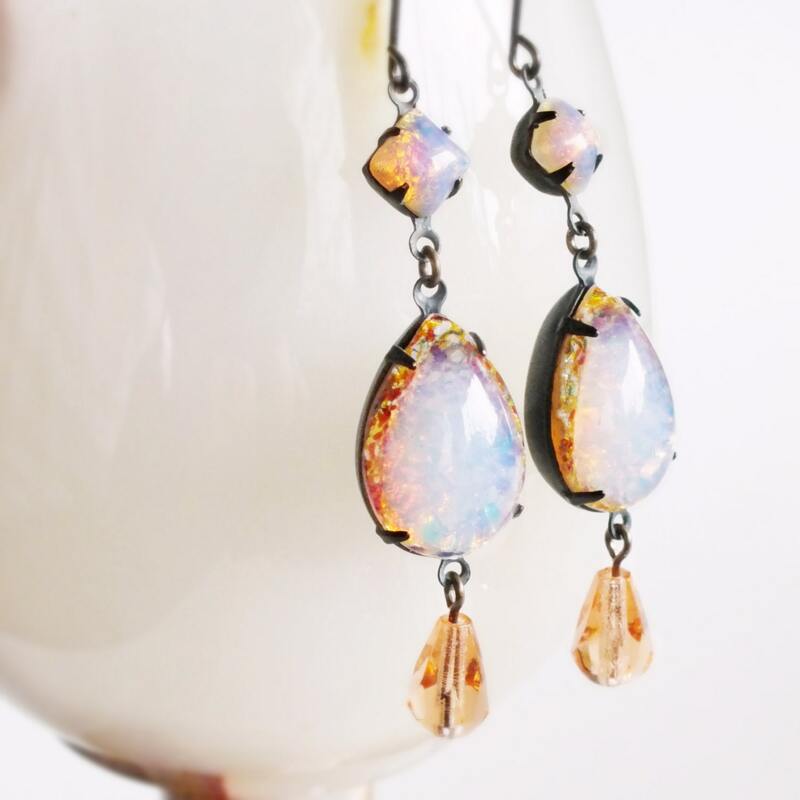 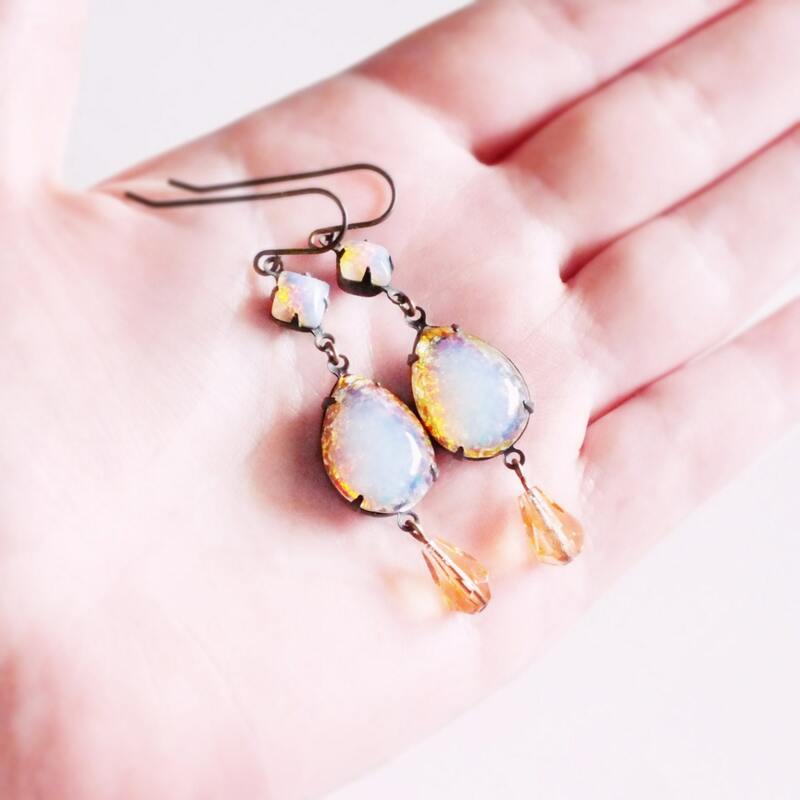 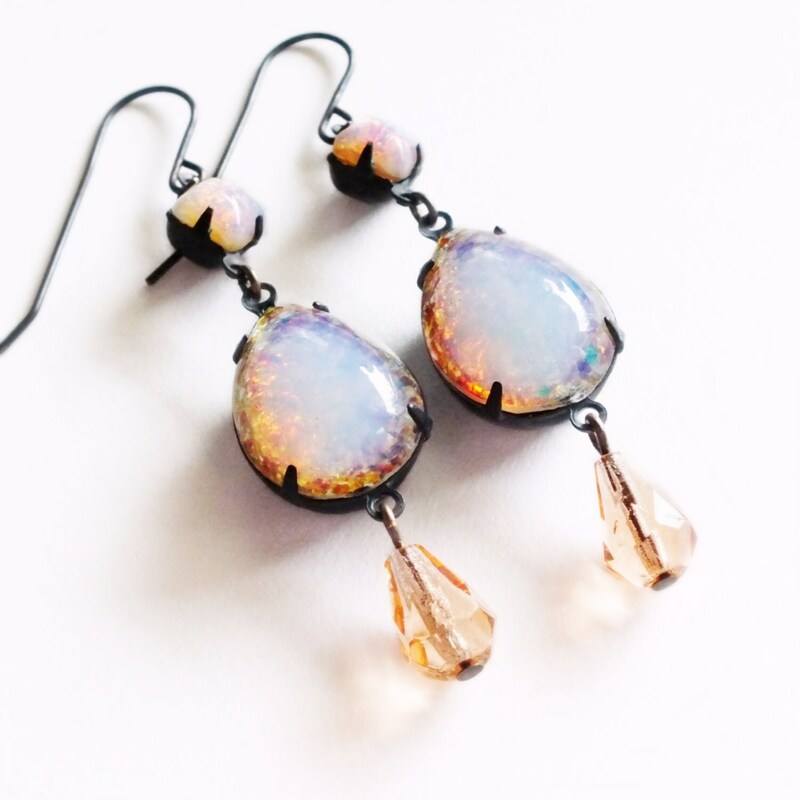 Handmade opal dangle earrings with vintage pink glass harlequin fire opal rhinestones. 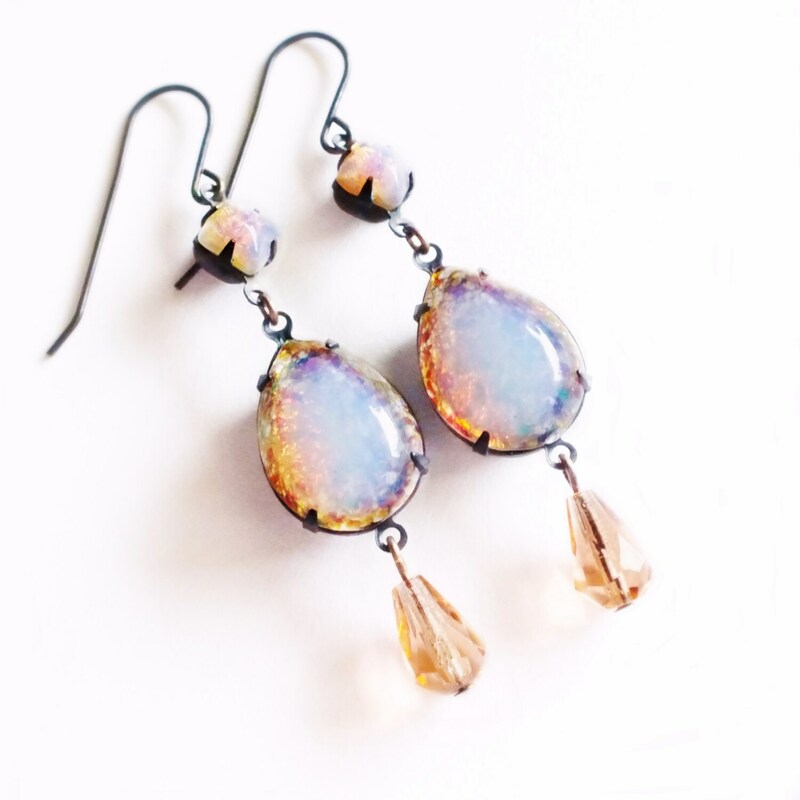 *Gorgeous* rare high domed pink and gold vintage glass harlequin fire opals adorned with matching connectors and peach glass dangles. 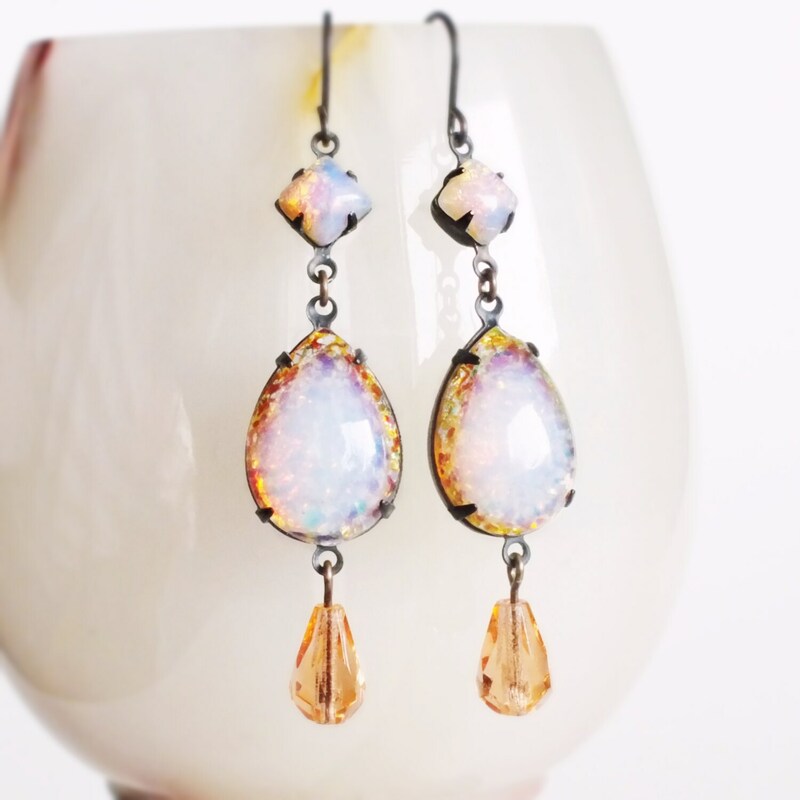 The fire opal stones are so much more complex and beautiful in person! 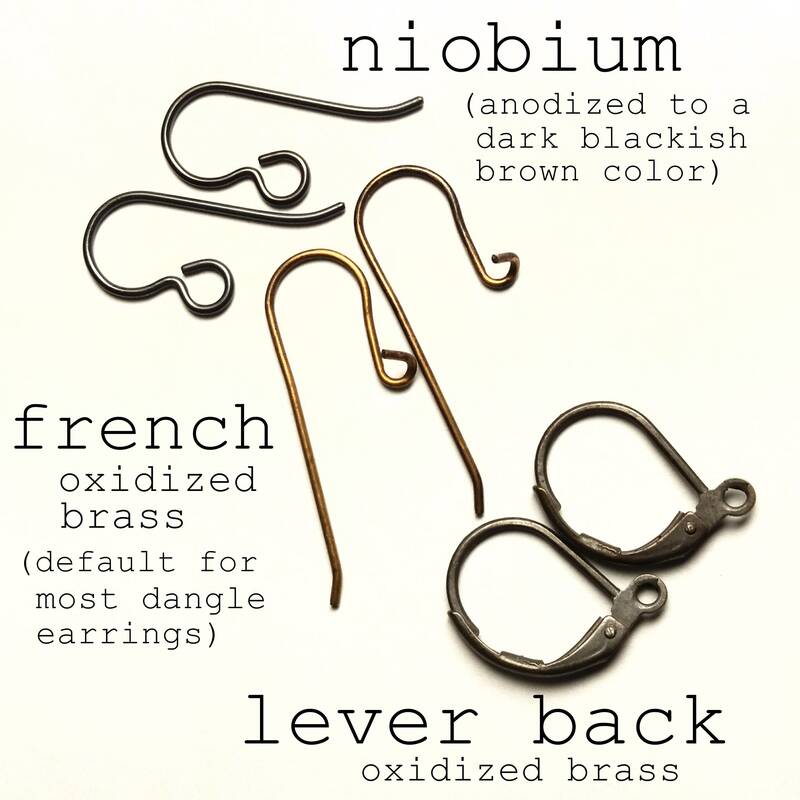 They have been set in dark weathered brass pronged frames.